"Radiocite can be mounted like any other crystal; it may be clamped between springs, but it is best to set it in Hugonium soft metal. Whether it worked or not, Hugonium addressed a real problem. Admittedly, it was difficult to find a good spot on the crystal to rectify. But, it was even harder to keep your cats-whisker on that exact spot. There were 101 different ways to mount the whisker and maybe 3 to mount the crystal. None were fool-proof. Most were bogus, crude, haphazard or unreliable. It was the weak link in a hobby that was slowly becoming a commercial enterprise. My earliest confirmed ad for Hugonium is again from the Electro-Importing company recommended Hugonium in a 1912 Wireless Lesson booklet. That one is published by Electro-Importing but copyrighted to K. I. Co. More here. "For the utilizing of this universal detector for other crystals which do not require pointed contacts, a flat metal disc which can be screwed on the pointed contact, is supplied. Thus the detector can be used for any type of crystal which requires either form of contact. 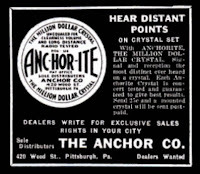 This detector, which is supplied by the Electro-Importing Company, uses the Hugonium compound for holding the crystal, as described above." "The copper pyrite crystal is mounted in a cup mounted on a spring-actuated rod provided with a suitable knob, by which it can be swung in any direction. Zincite crystals are mounted in a large cup containing several pockets, the mounting of both of the minerals being effected with a low fusing solder, Wood's metal or Hugonium alloy"
My theory is that Hugonium is just Wood's metal, a bismuth alloy But that in a fit of ego Hugo Gernsback renamed it for himself as slipped it into the catalog. Nothing else in the history of Electro-importing leads me to believe that they invented their own low temperature alloy. There is no copyright on Hugonium, at least not under that name. All the references to Hugonium come from their own catalog, or their own periodicals which existed only to sell products through their mail order business. 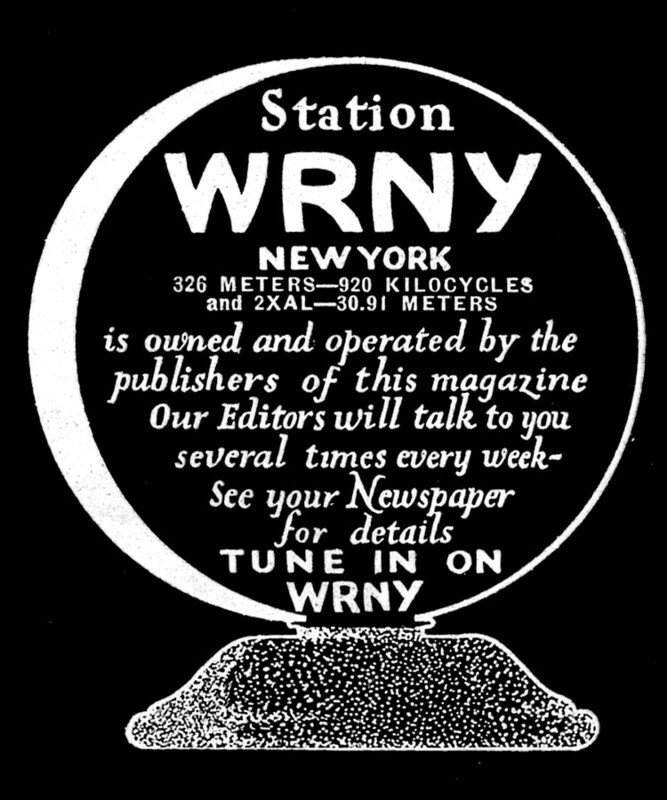 It makes sense then that Hugo Gernsback would eventually segue into science fiction in 1926 with the publication of the magazine "Amazing Stories." 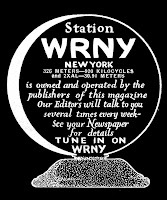 It's interesting to note that he also founded the radio station WRNY. I'll tell that story another time. Way back in the early days of radio, when tube circuits were just being developed many receivers and transmitters were crystal controlled. 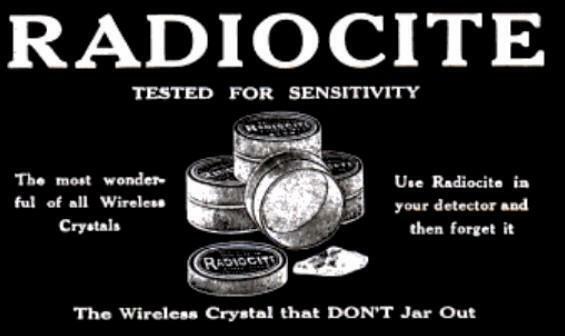 Every frequency had it's own crystal (more common with transmitters than receivers) At that time, radio was unregulated and pretty much anybody could get an experimental license and go on the air with an amateur station. I am intimately familiar with PLL and ADLL circuits.. and even your crude "foxhole" radios.. but not so much with the transmitters. Wish I was.